A Bay Shore Classic! 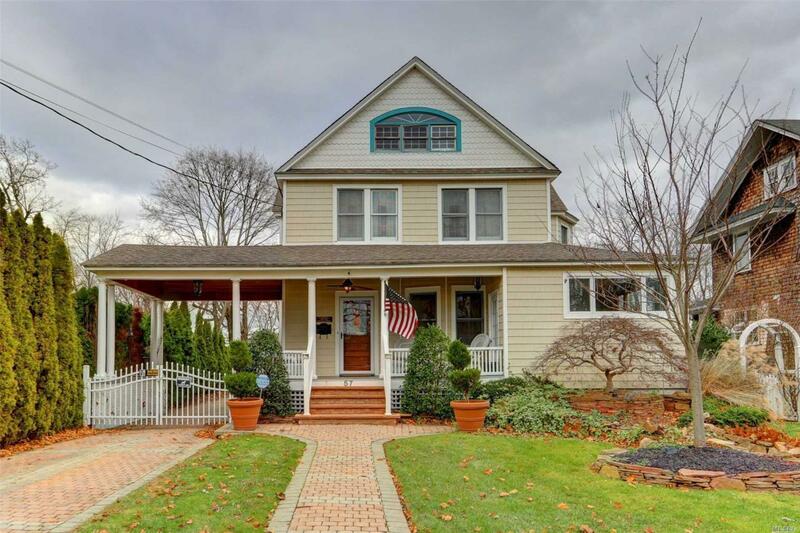 This 4 Br Colonial Pays Close Attention To Historical Details. Perfection Shake Exterior. Front Porch W/ Elegant Woodwork & Columns. Parlor W/ Pine Wood Flrs. Formal Dr W/ Original Swinging Door To Kitchen W/ Red Oak Flrs & Granite Countertops. Office W/ Half Bath Leading To Den W/ Fireplace Previously Professional Use. Adjacent Sitting Area W/ 1/2 Bath & Door To Seasonal Rm. 3rd Story Attic & 5 Car Det. Garage W/ Finished Loft. Prof. Landscaping .43 Acre.Full Bsmt.